“You just love to argue!” a friend of mine said to me. To that point in my life, I had been that person that avoided arguments. I often walked away from them. When that wouldn’t work, I was prone to level the “You just love to argue!” charge against them. I don’t think even this friend of mine would accuse me of being a hyena, in the world of arguers, but I was once a limping antelope caught up in a pack of hyenas. It got so bad, at times, that I would examine, and reexamine everything I planned on saying. I feared everything I said would provoke an argument. I just wanted to have one peaceful day at work. When that wouldn’t work, I just stopped talking. I didn’t understand how everything I said could be so wrong, so controversial, debatable, and subject to argument. At one point, I gave up trying to figure it all out. It was obvious to this pack of hyenas that I didn’t know how to argue, because I wasn’t used to everyone challenging every idea I had, but the fact that they were so confrontational about damning my ideas told me more about arguing than any debate class could. Being the recipient of such a charge, after those dark years, taught me something. I liked it. It was shocking, but it was also pleasing. When this accusation began popping up more often, and I began to reflect on the nature of the charge, it dawned on me that there are those that love to argue and the vulnerable subjects of society that they pick on. Some of these vulnerable subjects were less intelligent, but most of them didn’t spend every waking moment of their life arguing, so they weren’t as equipped as those that did. The question I had, now that I was being accused of being the former was, am I guilty of preying upon the vulnerable? The difference between a healthy debate and an out and out argument is seismic. Even if some of these healthy debates are characterized in this manner, by the hyena that won’t leave you alone, you’ll find yourself leveling the “You just love to argue!” charge to end all future debates, healthy debates, and out and out arguments, and you will grow frustrated when it doesn’t work. The question the vulnerable subject will have is why do they keep coming back to me with new information, new points to ponder, and a never-ending cycle that appears to be redundant to all observers? Why me? Why don’t they bother Suzy Q over there? She appears to enjoy arguing as much as they do? Yet, they keep coming back to me. After receiving the charge that I’ve made against many, for so many years, I found the answer. I found the answer to why they sought me out, in my search for why I sought some of them out: I like to win. Those that hate arguing, hate losing. They fear entering into an argument with a worthy opponent over subject ‘A’, and the revelations that will occur when they find out that the worthy opponent prove to know more about that subject than they do. The worthy opponent has proven, in the past, to be a worthy opponent. Most arguers do not enjoy arguing with a worthy opponent. The best way to avoid such embarrassing and stressful revelations, they think, is to just avoid arguing altogether. Those that love to argue, on the other hand, appear to think that they learn things about all the players around them, and they may feel they learn things about themselves by arguing. It might all be a complex pursuit of intellect and psychology, for them, but it might also be something very simple: it may be all about winning and losing. Most arguments seem so simple that they’re not worth having, but some people love to win arguments so much that they seek out the one person in the room that feeds their bear better than anyone else. Is this you? Do you have a person, that no matter how many times you say you don’t want to argue about it, won’t leave you alone about an about an annoying amount of everything? It may be that you’re better at feeding their bear than anyone else. Either you walk away, or you let it be known that you just don’t like arguing. Whatever the case is, they must find your reactions nourishing to their ego, or they wouldn’t keep coming back. “I know I shouldn’t walk away,” you may say. “But it can just get so exhausting arguing with them.” The problem with this line of thought, as anyone that knows anything about bears will tell you, is that when you feed a bear they keep coming back. It’s the nature of the beast to keep coming back to the spot where their ego was nourished with the least amount of effort involved. They will no longer go out into the wild, where they belong, to keep their instincts shiny and honed, and they will become fat, and lazy, subsisting on your ineffectual, but nourishing responses. There are some bear feeders, and we all know one, that believe that an argumentative bully can be put down with one clever turn of a phrase, or a well-timed, well-placed shot on the chin. If you’re one of those people, you may want to consider the idea that you’re watching way too much TV. In the fantasy world of television, where the screenwriter of that show has their character deliver that one shot, clever turn of a phrase they wished they said to their bully, that puts their bully in his place. In the fantasy world of television, the bully comes to respect the victim for their moxie, and the two of them may skip off together, hand in hand, in an eventual pursuit of the conflict that led this complex bully to be so insecure that he felt compelled to pick on his victim. If you’re one of these people, you may want to consider either turning the TV off, or switching the channel. The Lifetime Network is doing you more harm than good at this point. In the world of reality, your single shot results in little more than putting the smell of gun powder in the air. The reason that you fired that shot was not to hurt them, but to try and scare them off a little. 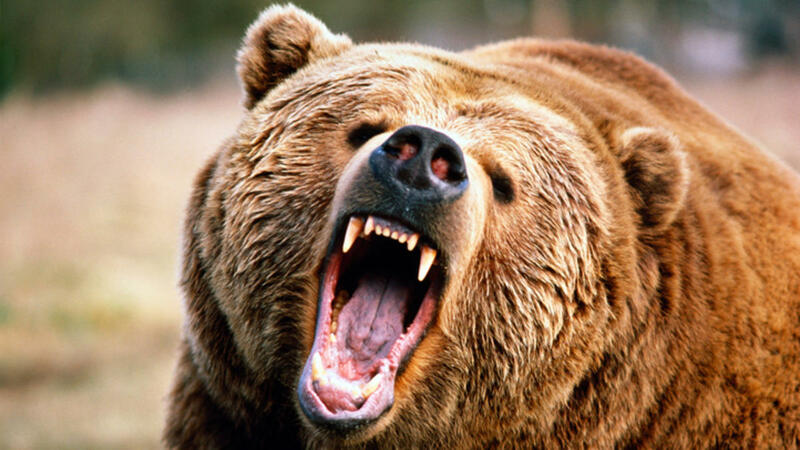 As anyone that knows anything about bears can tell you, the smell of gun powder triggers an instinctual mechanism in the bear that will cause them to keep coming at you until you are forced to recognize that it’s going to take a strategic concentration of blows to be delivered over time to put them down. It’s going to take a thorough understanding of the bear, and an ability to defeat them, with repetition and patience, until that moment of truth arrives when they bring up an argument and they try to avoid looking over at you while doing it. Either that, or they will avoid broaching that topic that they know is in your wheelhouse. You will know that you’ve stuck a dagger in their purported “lifelong love of the arguing” when they give visual cues that they’re relieved that for the first time in a long time, you have said nothing to contradict them. 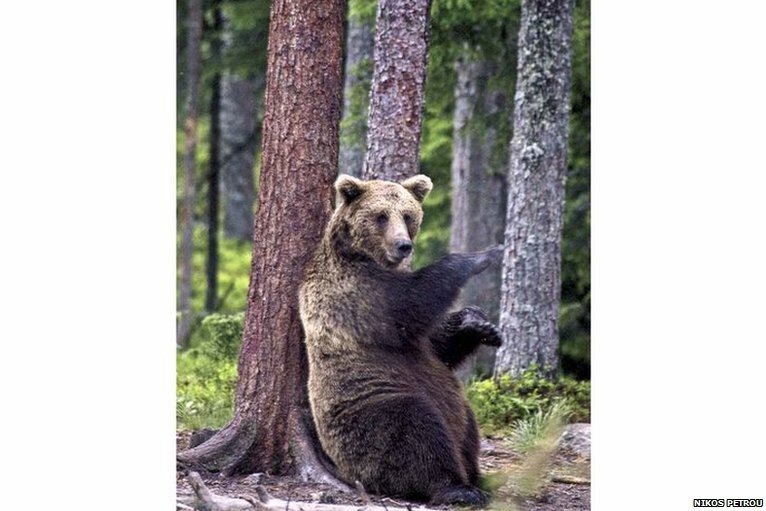 These moments, when you become the bear, don’t come around often, and you should feel free to rub it out on the nearest tree as a reward for your constant, and confident, and strategic defeats, of every argument they left by the trash can for your nourishment. Some unfortunate, and lifelong, victims believe that I am 100% incorrect in my assessment that constant, confident, and calm refutation has any merit, and they opt for a more high-pressured, high-volume attack that they believe will whip the head of the argumentative bully around to a realization that all victim’s desire: the ‘You don’t wanna go messing around with me no more’ realization. This attack often involves a lot of swear words, a red-face, and some ultimate ultimatum. This tactic has never proven effective, in my experience, and I have witnessed it attempted many times, from all sides of the paradigm. There have been times when I’ve been on the casual observer side, and I’ve heard these argumentative bullies whisper: “Watch this!” before launching on you people. I’ve heard them state with pride that they can get a rise out of you, when you’re not around. They love this, is what I’m saying. They take great pride, almost to the point of arousal, in the fact that they are one of the few people that can cause you to get hysterical. “Why do you give them that?” I’ve wondered aloud on more than a few occasions. In a few of these occasions, I have been a disinterested, neutral party. I don’t care about the well-being of the vulnerable subject, and I didn’t find the bully’s persecution particularly funny. I just wanted to know if the vulnerable subject understood the dynamic of the situation. The reactions I’ve received are just as red-faced, and laced with profanity, and high volume. It has led me to believe that some people are victims as a matter of happenstance, and some are a species unto yourselves. Some arguments are germane and vital to a person’s existence, and the best argument I’ve heard for never walking away from them is that you have to teach people how to treat you. Those that love to argue will put a person through the ringer, just to see what they’re made of. These types disgust those that don’t enjoy being tested. They want to live in a world where everyone treats everyone else in the manner they want to be treated. They want to live in a land of peace of harmony. Too bad, say those that love to argue. This is the real world, and we’re going to force you through this tiny, revelatory hole just to see what you come out looking like on the other side. These arguments are often of a more personal nature, and they cannot be avoided. You have to teach others how to treat you. If a person enjoys arguing, and they seek out arguments of all stripes, they will eventually encounter a person that argues about everything and nothing, and they will do so in the same argument. My advice to those that have any regard for their mental health, is to simply pack up your belongings and walk away. These types of arguments are indigenous to an annoying species of bear called the plane switchers. The modus operandi of the plane switcher is to start an argument. If they find that they have tripped upon a subject their counterpart is well-versed in, until an argument that began with a discussion on the homeopathic uses of emu urine somehow switches to the origins of the Wiccan religion. How did these people do that, might be the first question we ask, as we begin to see all the “Don’t feed the bears” signs around us in the dark and sparse forests of the plane switchers. Further inspection of the argument reveals the fact that the question regarding their ability to deflect doesn’t matter near as why they do it, and I can answer that question with one word: victory. My advice, again, is to simply walk away. If, however, it is impossible to walk away, as the person may sit in an adjoining cubicle in an office place, or they may be a loved one. In some cases, I have found that the task of switching the topic back to the germane topic takes a steady, subtle hand, and on other occasions I have found that it calls for brute force. If we are able to manage switching the playing field back to the subject at hand, we might find our way out of one argument, on one day, in the everlasting arguments with these exhausting people, and all exhausting arguers, until we run across the person that mistakes us for being a person that loves to argue. I remember that day, oh so long ago, when that first person accused me of being an argumentative person. I almost laughed in her face. When she did that, they had no idea how many times I said what I said just to get the other guy to shut up for five minutes. They had no idea how many times, I packed up my stuff and walked away from an argument I found tedious, and they had no idea how many times I lost arguments. They also had no idea how many times they presented me an argument, and all I was doing was countering that argument. They had no idea that they just wanted me to lie down, and roll over, and accept their argument in the manner they presented it. If they knew the painful and emotional road I traveled on to get to the point where I received their wonderful compliment, they would have never said it. They just knew the finished product that stood before them arguing against their argument. They didn’t know how many years I spent in the loser’s bin, unable to compete, not knowing the right thing to say, and trying every possible method I could think up just to shut just one of them up. They just knew the finished product. They didn’t know about all the Dr. Frankenstein’s that gave the beast life. Very few arguers know the argumentative beast living inside them. They don’t know the maturation process that their beast went through, or the weaponry their beast purchased with intangible experience, but they do know that they like to argue with you over any other individual in the room, because they love to see someone else do the squirmy, screamy dance that they used to do when arguers chose them over everyone else in the room. They may not know any of the complex, intellectual, and psychological algorithms of their beast, but they do know that they like to win, and that you –the person that doesn’t like to argue– will always give them that.